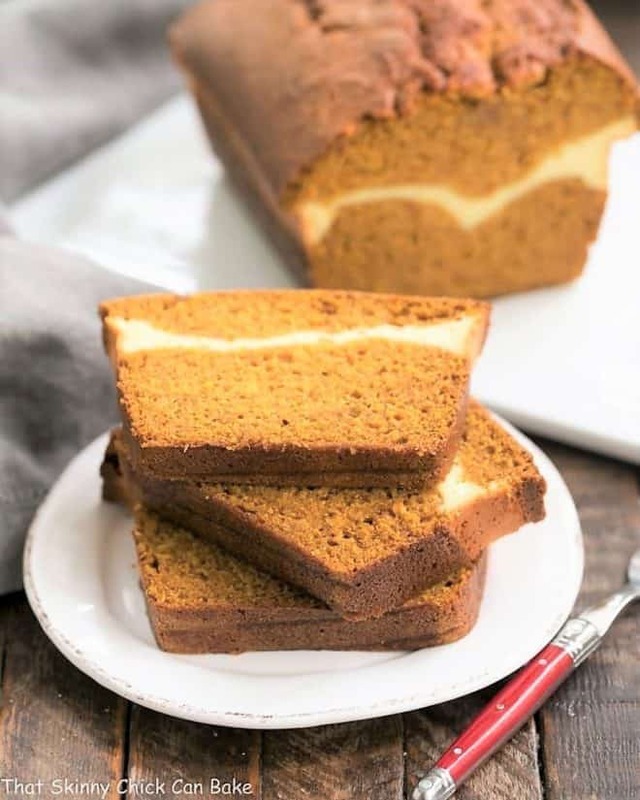 If you’re a fan of ordinary pumpkin bread, you’ll be thrilled with this kicked up Cream Cheese Filled Pumpkin Bread with a ribbon of cheesecake! What happens when you spread a layer of cream cheese in the middle of your pumpkin bread batter? A marvelous ribbon of cheesecake appears in every slice. 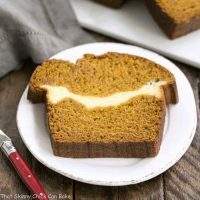 This cream cheese filled pumpkin bread is a moist, spicy quick bread with a sweet surprise in the middle! I actually made a triple batch of this classic, moist pumpkin bread and a double batch of filling. One plain loaf for Nick, the cream cheese naysayer. And two for the cream cheese fans. Bill won’t touch pumpkin except in pie, so one less palate to factor into the plan. I thought of swirling in the filling, but marbleizing has never been my forte. Be sure not to overfill your pans (I may have a wee bit of experience with this situation!) and try to estimate when half the pumpkin batter is in the pan before adding the cream cheese mixture. For my first attempt, I think these turned out rather well. One in the freezer for Katie, one back to Tom’s house, and one down to Bloomington for Nick and his roomies. I hope they’ll think of dear ol’ mom when they’re eating breakfast! Preheat oven to 350º. Grease two standard loaf pan. I also put a rectangle of parchment on the bottom of each pan and grease that as well. Combine sugar and oil. Add rest of ingredients in order. Mix till combined and set aside. Whip together filling ingredients till smooth and set aside. Pour about a little more than a quarter of the batter into each pan (about 1 3/4 cups). Drop spoonfuls of half the filling over top of pumpkin batter and then use spoon or offset spatula to spread filling to cover the pumpkin. Repeat with second pan. Use remaining batter to fill each about ¾ full. You can bake any excess batter in ramekins for muffins. Bake 1 hour-1 hour 30 minutes or until toothpick inserted in center comes out clean. Do not over-mix the batter or your bread will have tunnels. There will be some excess pumpkin batter, so reserve enough to make 2-3 muffins so your bread pans do not overflow. My bread pans are heavy duty and they took 1 1/2 hours to bake. Make sure to check and recheck your loaves with a toothpick so your bread is not underbaked. Note: This recipe was first shared in 2014. This recap is from one of my first blog conferences. Just over a week ago, I took the trek to the west coast to attend the International Food Bloggers Conference in Seattle. This food blogger fest was hosted and organized by the terrific folks from Foodista.com and Zephyr Adventures. The weather was picture perfect with nary a drop of rain and The Taste of Seattle on Saturday night was a foodie’s dream! I was trilled to sample Noosa’s Pumpkin Yoghurt, Bigelow’s American Breakfast tea with an extra boost of caffeine, plus enter and win TWO giveaways: an Analon Skillet and a Ninja Blender!!! I learned about branding, food photography, food writing and lots more. But best of all was hanging out with my blogger friends! Three of the most giving, kind food bloggers out there!!! First time meeting two of my long time blogger friends! 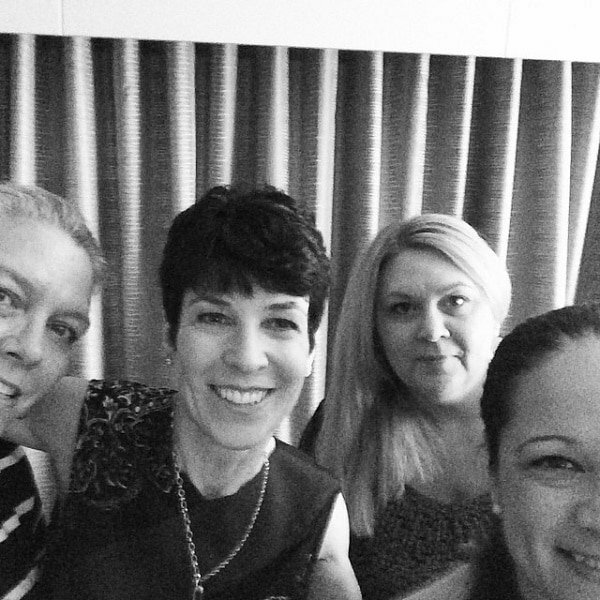 Crazy after hours shenanigans…loads of laughs with these gals! Hanging out with my Dorista friends! 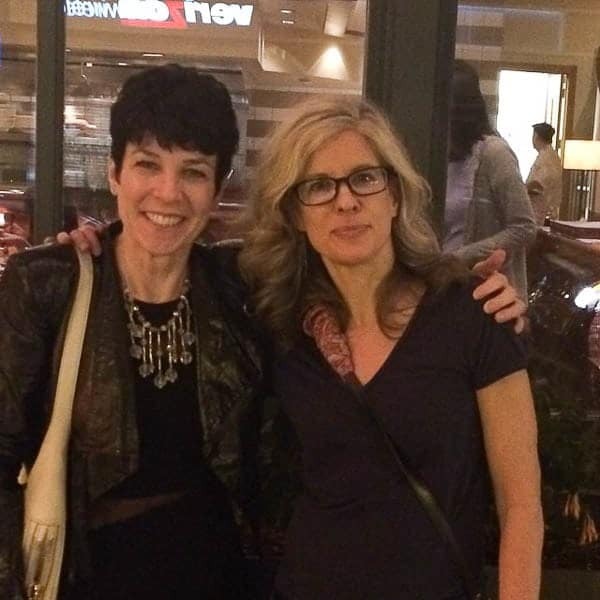 Bonus: Going out to dinner with my sister, Mary! Three pumpkin bread at the same time? The parfum in your kitchen must be very nice! Your kids are Lucky to have a pumpkin bread for each one! Im so jealous you won 2 giveaways! I won nothing. haha But it was very nice to meet you, and I enjoyed IFBC. That pumpkin cream cheese bread looks fabulous. I just made a banana bread like it and loved every last bite. Will definitely be making this! 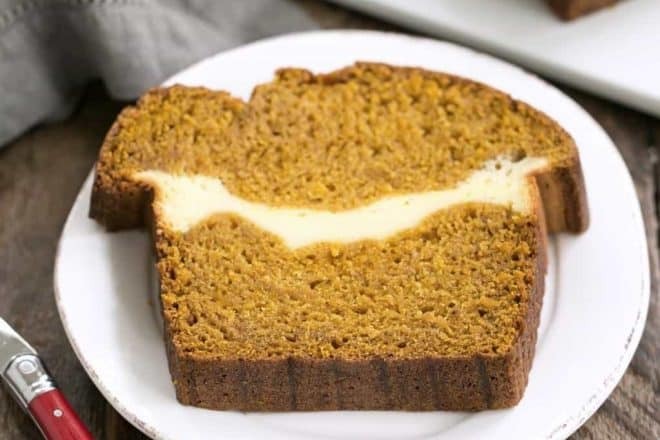 Pumpkin bread with cream cheese is one of my favorite recipes for fall. Your’s looks amazing! 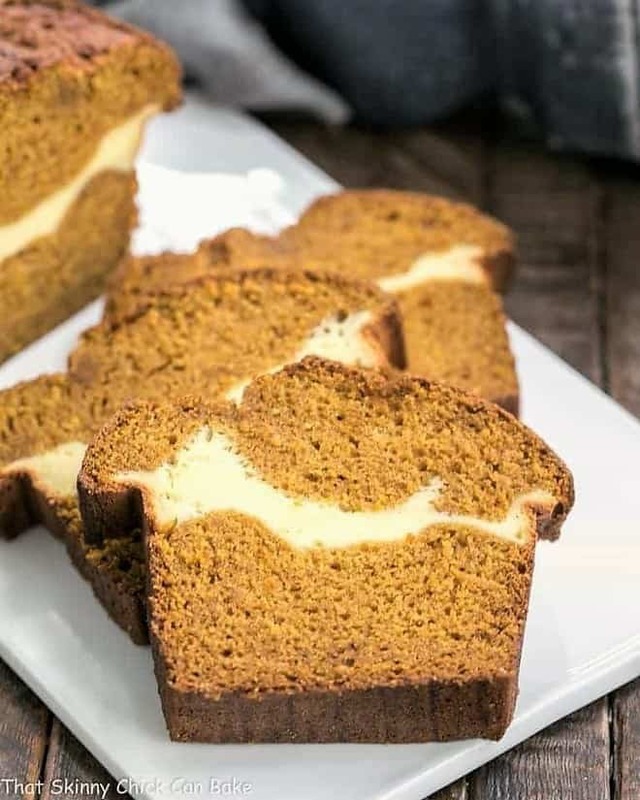 I love pumpkin bread and that cream cheese filling looks divine! Those are some great photos from IFBC. Looks like you had a blast! The cream cheese is such a lovely surprise indeed. The bread looks wonderfully moist. You had me with the cream cheese filling. Love that stuff – this bread looks fabulous! Hi Liz, looks like a great time was had by all at the conference…..love this pumpkin bread, never seen it stuffed with cream cheese before, sounds delicious! What a beautiful bread! The cream cheese adds to the bread so much. Can’t believe one of your kids don’t like cream cheese, is it just the spread or even when you’re making a cheesecake? That is about the best looking pumpkin bread I’ve seen, a must try! Sounds like you had a blast at the conference! ‘loads of laughs with these gals’ and there are 3 men in the photo. Okay, I laughed. 🙂 I’d love to go to a conference like that! I’ve never put cream cheese in a quick bread before but it sounds really really good! Yummm yummm yummmmm! This looks super amazing! Pumpkin and creame cheese oh my! Love this pumpkin bread Lizzy! And I love your pics of your meeting sounds like you had a wonderful times! aww Lizzy maybe someday we can meet!! I would love this!! Loved the pictures of your conference. Looks like everyone had a good time. What a gorgeous bread and it looks like a fantastic time at the conference!! I see a few faces I recognize in your photos! That pumpkin bread looks so moist. I love your photos at IFBC. It looks like you met a lot of wonderful bloggers. It looks like you had a fantastic time. Maybe next year I can go. I was at the IFBC. It would of been nice to meet up! We could of been sitting at the same table and I just forgot 🙂 Your Pumpkin cake looks amazing. Maybe we can meet up next year! I love your take on pumpkin bread! That ribbon of cream cheese is perfectly okay with me 🙂 It was so nice to meet you in person…finally after all these years! Seattle was so much fun and the conference was fantastic. Congratulations on your big wins! How exciting! That blender is incredible. Aw, that’s such a cool event! Wish I were there too, Liz. Your pumpkin bread is out of this world! Looks like you had a blast with the fellow bloggers! The pumpkin bread looks very moist and gorgeous with cream cheese. I hope some day I will be able to attend a bloggers’ event as this one and meet all of you who have been known through internet for a long time. Until then I will settle for drooling in front of this bread! I’ll bet your kids do think of mom when they eat that bread. 😉 Looks delicious! 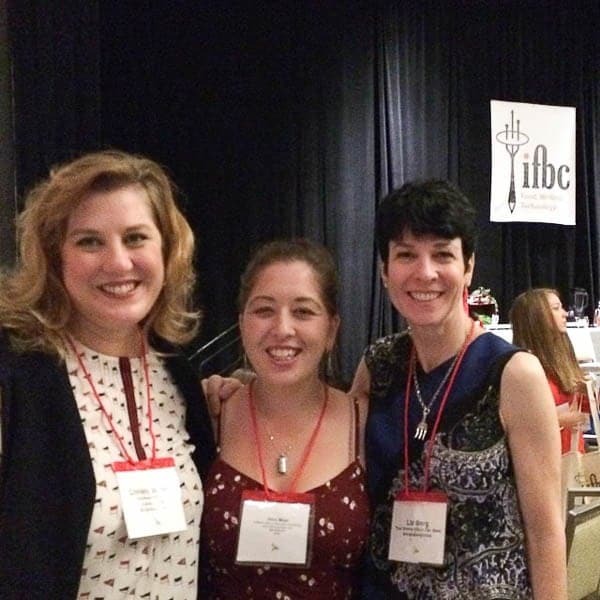 It also looks like you had a blast at the IFBC! Maybe one day I will get to attend! I don’t know if you had me at pumpkin or cream cheese????? Liz, this looks heavenly – pumpkin & cream cheese! It was such a blast to hang out with you and Alice, I wish the Dorista’s and Sunday Supper Crew were able to get together more frequently. It was the highlight of my vacation! I just adore pumpkin with cream cheese! Definitely going to have to try this soon. 🙂 And IFBC is possibly on my list for conferences next year. It looks like you all had an amazing time! I love the ribbon of cream cheese in the bread, it is so pretty looking. And delicious, too! Looks like you had a great time at the conference, IFBC looks like a good one! Hi LIz, Just ask Kelly that I’m not much of a pumpkin fan . . . shunning pumpkin pie every year! But I’ll tell you this, I devour pumpkin bread and pumpkin rolls for some reason! This bread with the ribbon of cream cheese would be included in my gluttony! 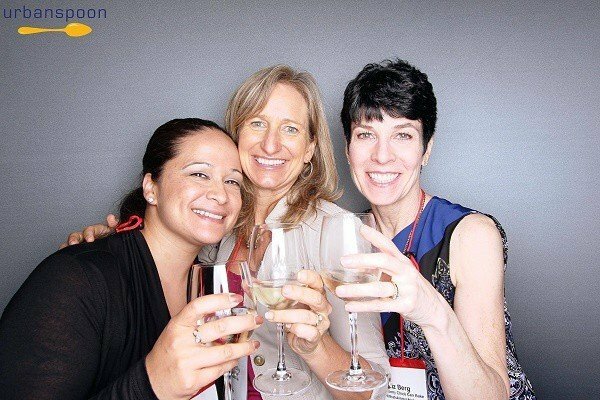 So glad that you had a great time at the blog conference and shared your photos! Someday I hope to join you; sorry that I’ve been MIA, but my job has just slammed me in the last two months! I hope to catch up soon! Your pumpkin loaves with cheesecake look perfect, Liz. Who wouldn’t want a slice or three of that! I’m betting all three were gone within a day or two. I am so envious of the wonderful time you all had in Seattle. It’s on my list of places to visit but I’d have really loved to have been there for IFBC as well. This looks delicious! 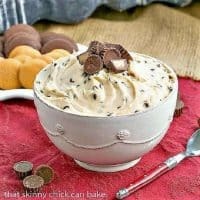 I make a similar recipe and the cream cheese bite is always my favorite! My stomach literally gurgled when I saw your photo, Liz! 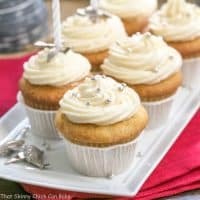 Thank you for the recipe (and tips!) You look as glamorous as ever in the photos…Looks like you had oodles of fun! I made a pumpkin cake last year that was similar to your bread. Your bread looks so much better and I have a can of pumpkin in the cabinet. Yippee!! Thanks for sharing the pics from your weekend. I love pumpkin bread and yours looks delicious. It’s so great that you got to go to the conference. If you only had the chance to go to one conference in a year, which would it be? Gorgeous bread with that ribbon layer of cream cheese! 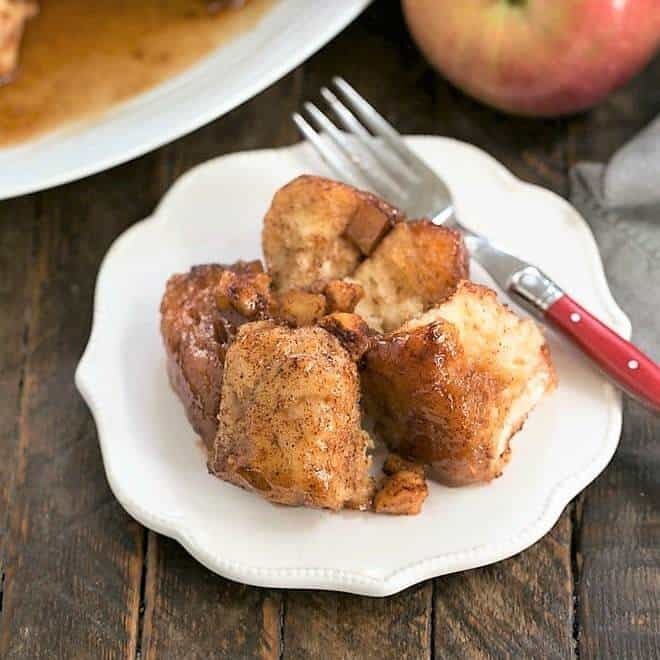 This looks amazing, can’t wait to try the recipe! I just have one question: would it need to be kept refrigerated because of the cream cheese? or is it OK to keep out of the fridge since the cream cheese has been baked with the egg? Thanks a million in advance for your help! Hi, Blanca, It can be kept at room temperature, but I usually keep it in the fridge or freezer to prolong its life/freshness. Hope you enjoy!!! Thanks Liz, that was quick! Way to give some love to an old post. It is always fun to look back at old memories. Love that layer of cream cheese in this bread. Putting the cream cheese spread IN instead of on is genius! What great memories! I teared up a bit seeing Joan. 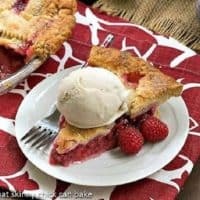 sure look delicious I would love a slice right now! Gorgeous bread. 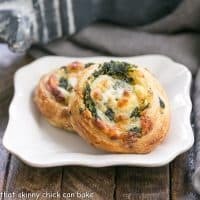 I love that ribbon of cream cheese in the middle, the perfect addition! Lucky kids that mom bakes them so many goodies. My Pumpkin Coffee Cake is in the freezer waiting for my son’s next visit. This is so bakery quality! I swear you could sell these, or any of the other things you make. Beautiful! 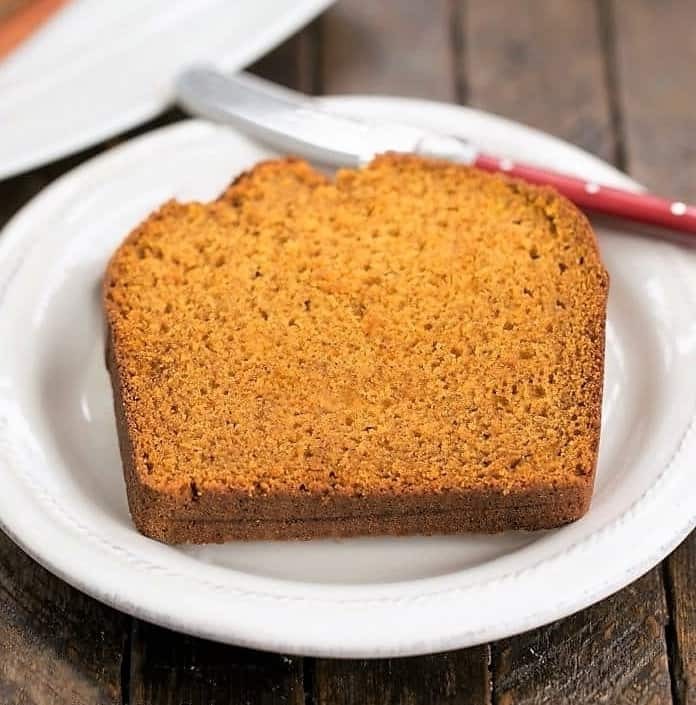 No need to even make cream cheese sandwiches with Pumpkin Bread =) P.s. You get a Best Mom / Wife Award for baking tailor-made loaves. I am going to Sacramento on Thursday for the 2017 IFBC conference , are you going? Your pumpkin bread looks amazing. Oh, how fun! I wish I was going so I could meet you!! I’m one who will take a slice with the cream cheese please! 🙂 This looks absolutely perfect and so yummy! Love Fall breads. The addition of the cream cheese is perfect. It’s no secret that I am not much of a pumpkin fan, but that cream cheese filling is quite compelling. I just love the way the cream cheese ribboned, it is truly picture perfect! 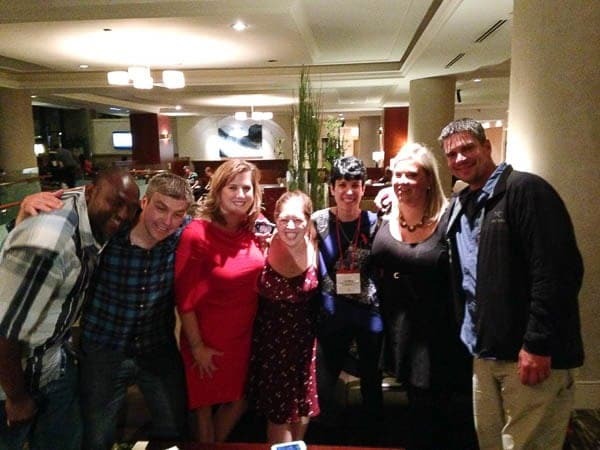 What fun that you were able to get to that conference, and to meet bloggers in the process is wonderful! I have made such amazing friends through blogging, I am forever grateful for this incredible venue that ties us together across the globe! 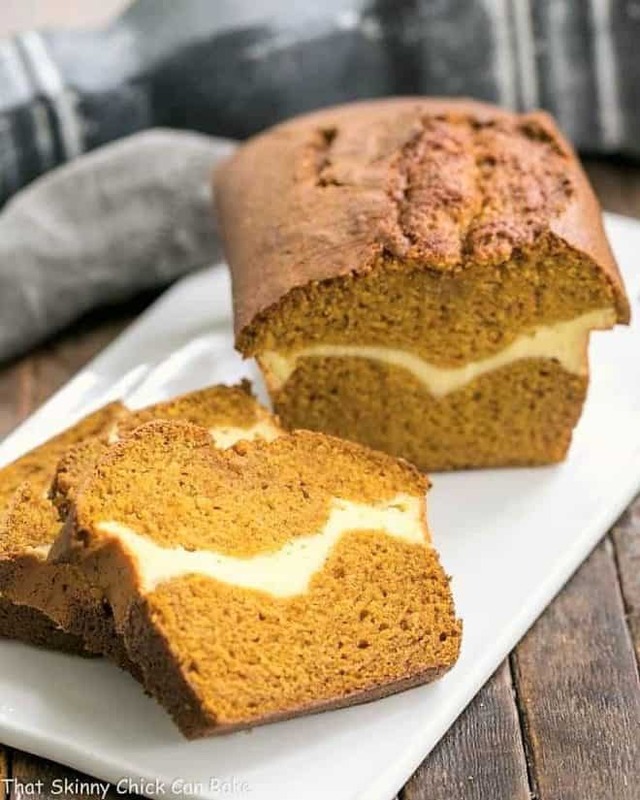 This cream cheese filled pumpkin bread looks like heaven!! Thanks for sharing!!! I’m a fan of anything pumpkin, throw cheesecake into the mix and it’s a total win! Can’t wait to try this bread, looks fantastic! This loaf is so pretty! 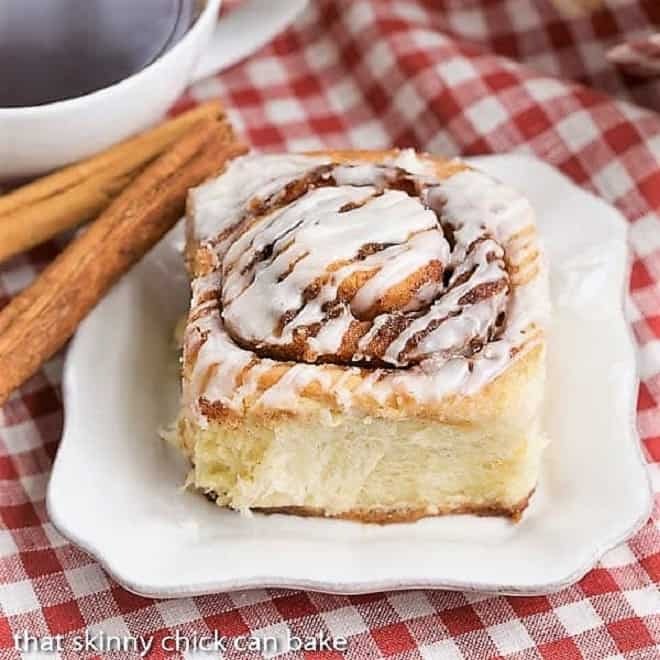 I just adore the cream cheese swirl! You had me at cream cheese filling. Looks so good! Can’t wait to try it!